This month in the Hot 3: The first wave of new training gear, V3 for Gilbert and the Classic Kakari. adidas have been releasing a number of new boot packs over the last month but one of the most striking is the new Kakari Light boots. Reminiscent of the Black Out range that came out in 2015, these Kakaris will be popular with all back-row forwards who like a classic looking boot. 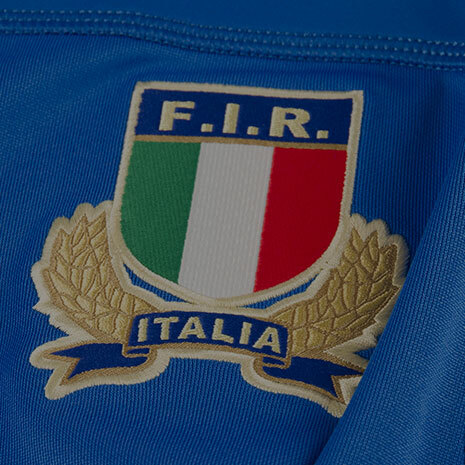 And as always with adidas, it’s not just about how it looks. The Kakari’s have been designed to be lighter than ever using a superior lightweight outsole to give players a little more agility on the pitch. Stability is still key in the back-row however and the built in cage system provides support and stops foot rolling. Play a different position? 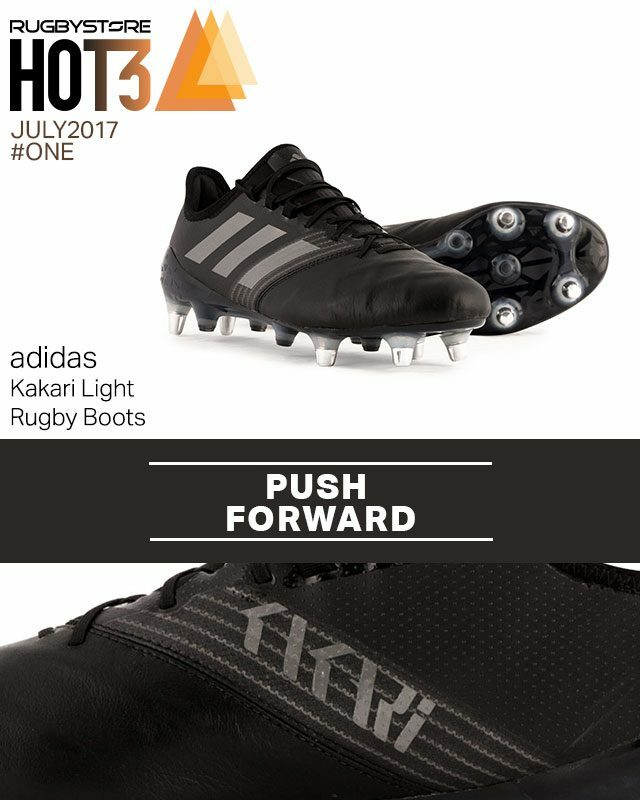 Check out the all the new adidas boots at rugbystore.co.uk. Gilbert are synonymous with rugby balls but their protective wear has quietly become one of the most impressive ranges in rugby at competitive prices. 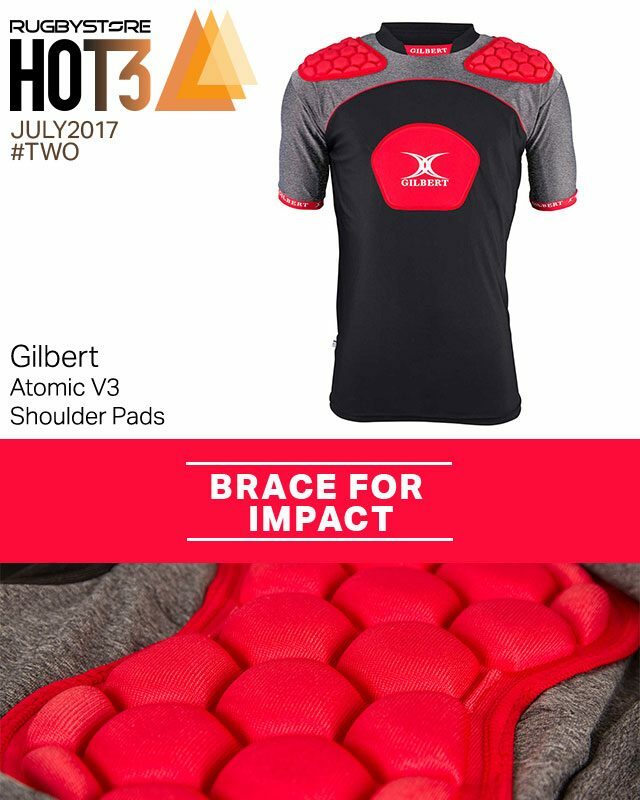 The latest body armour from Gilbert, the Atomic V3, improves over the last effort in a number of ways. 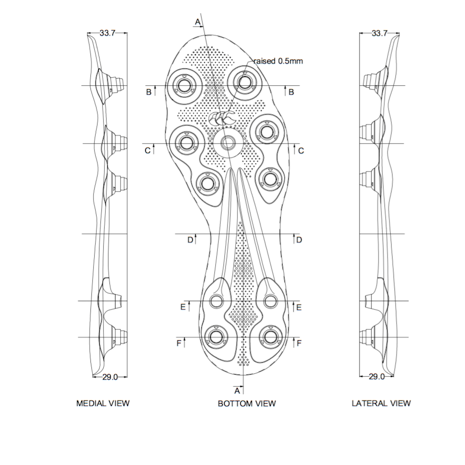 Primarily those improvements are down to the new new FastWickX fabric which provides more movement thanks to it’s 4-way stretch and wicks moisture quickly away from your body, helping you maintain a good temperature. Available in a range of sizes and colours, the Atomic V3 is a great place to see what else Gilbert can do. Bath look set to continue having some of the best looking kit in the Premiership thanks again to Canterbury. The new training range features snapbacks, vests and polo shirts. But the highlight for us is the pictured cotton training tee. A seamless feel thanks to the flat stitching this tee is second skin comfortable. 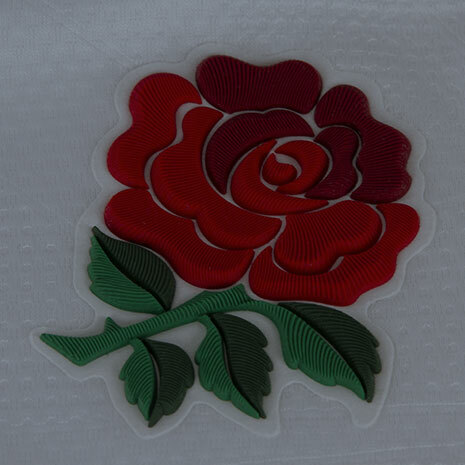 And it looks so good we can’t wait to see what Canterbury has in store for the official match day shirt.